Layers of elastic with varying degrees of strength wrap around key muscle groups to generate resistance where it matters, so you can achieve better results in less time. Physiclo generates up to ten pounds of extra resistance in any direction, including hip flexion, extension, and abduction. As with resistance bands, the bigger your movement, the more resistance you'll feel. 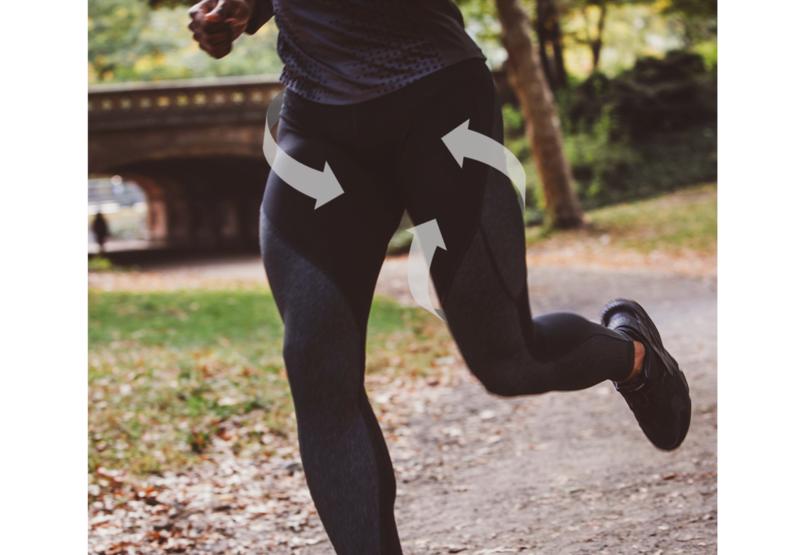 Physiclo's band technology creates resistance across a full range of motion, targeting the important muscle groups of the hip and upper leg, like the hip flexors, quadriceps, glutes, hamstrings, and hip adductors. Each pair of these moisture-wicking compression pants comes packed with its own resistance. 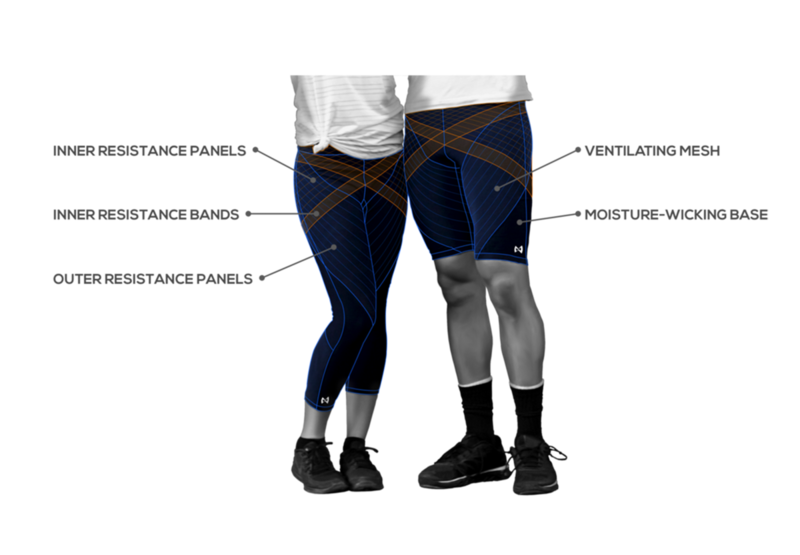 Physiclo’s patented technology uses multiple layers of elastic bands and panels, stretching over different muscle groups, to generate safe, low-impact resistance across a full range of motion. And it’s all packaged into a design so sleek and discreet that you could even wear them out and about. 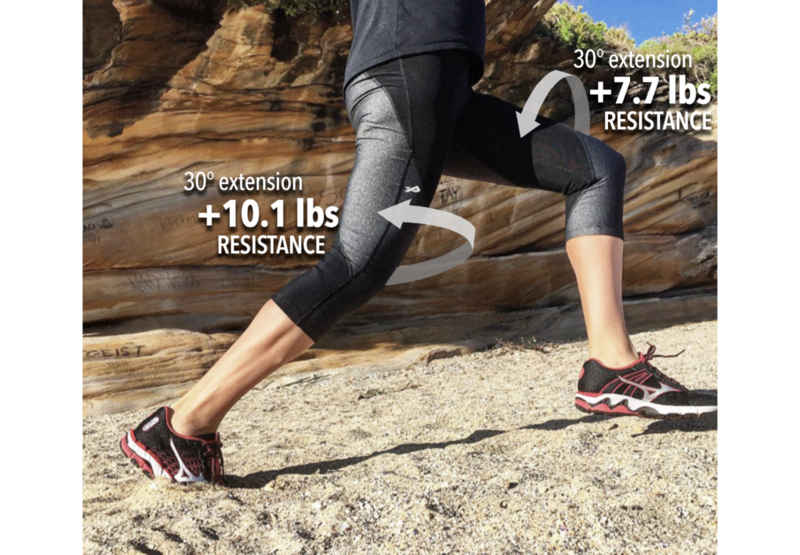 Designed by an Olympic athlete and a group of medical students, Physiclo's unique compression pants feature built-in resistance bands that push your body to work harder and achieve better results in less time. Whether you’re a weekend warrior or an elite athlete, adding resistance to your workouts with Physiclo gives you the extra boost you need to reach the next level. GET 15% YOUR FIRST PAIR WITH PROMO CODE "FIRSTPAIR"